Les Bof! France invasion in June! 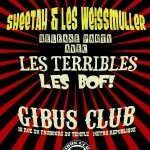 Yeye Party At Le Gibus Club in Paris! Royal Hangmen & 60 Second Swingers on Tour! 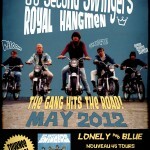 The Royal Hangmen and 60 Second Swingers will hit the road in May, check out their tour dates! The gig at la Mécanique on the 18th will be a release party for the 60SS’ brand new 7″ Lonely and Blue, don’t miss it! Hey freaks! 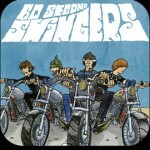 Our first release, Lonely & Blue 7″ by the 60 Second Swingers, will be out on May 18th! It will be available for purchase on our website, and hopefully in any good record store out there! 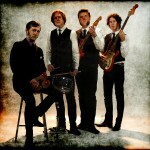 The Cavemen Five on tour! 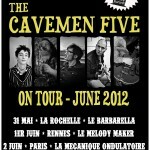 The Cavemen Five will hit the road for a few shows in France next month, check out their tour dates! 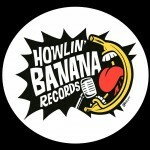 Their brand new 7″ was just released on Soundflat Records, a two-track killer EP that’ll get you wild n’ primitive ! 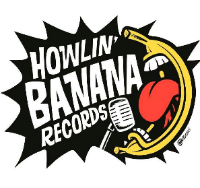 Check out Howlin Banana Records new website design! Go Bananaz Freaks! !